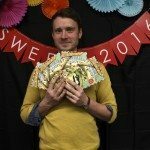 Penguin Random House Canada’s children’s publishing division celebrated its forthcoming spring and summer 2016 titles at the Sweet 2016 reception, which took place on Jan. 28 at the PRH offices. The event was attended by PRH authors and illustrators, as well as delegates from the Ontario Library Association’s Super Conference. 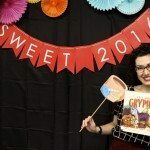 Vikki VanSickle and her picture book <i>If I Had A Gryphon</i>. 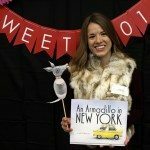 Julie Kraulis and her forthcoming title <i>An Armadillo in New York</i>. Illustrator Sydney Smith with his middle-grade novel, <i>Look Out for the Fitzgerald-Trouts</i>, written by Esta Spalding. 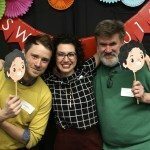 Smith, VanSickle, and author Tim Wynne-Jones.